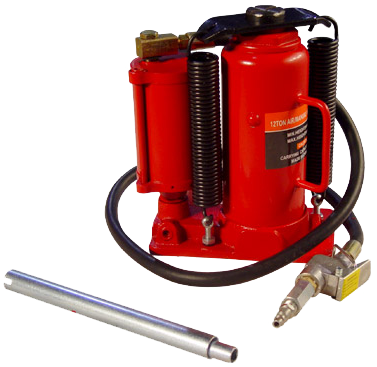 We offer 12 ton and 20 ton Air bottle Jacks, and a 12 ton Air/Manual Hand Bottle Jack. These jacks are designed for heavy commercial use. Fast efficient air pumps reduce lifting time.